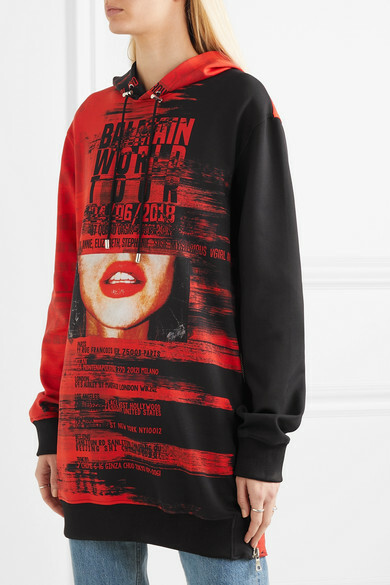 Balmain's longline hoodie is inspired by the band tees you can pick up at gigs. 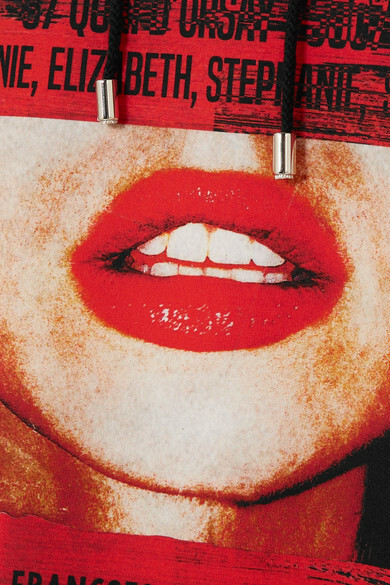 The front has a close-up graphic of a woman's red lips, and the back is printed with the dates of every Fashion Week. It's cut for a relaxed fit from spongy neoprene. 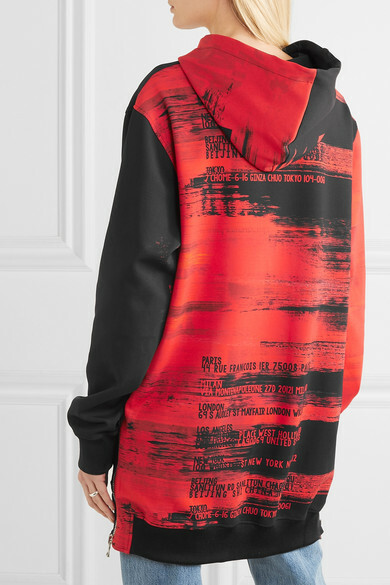 Wear yours as a dress with knee-high boots or unzip the sides and layer it over jeans. Outfit 1: Helmut Lang Jeans, Gianvito Rossi Ankle boots, Givenchy Pouch, Sophie Buhai Ring. 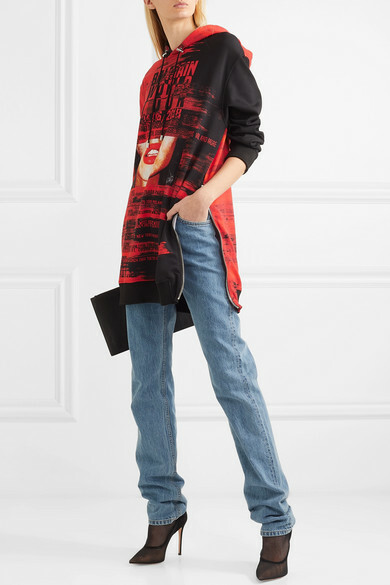 Outfit 2: Raco Rabanne Shoulder bag, [Givenchy Boots id1098366,] Laura Lombardi Earrings.